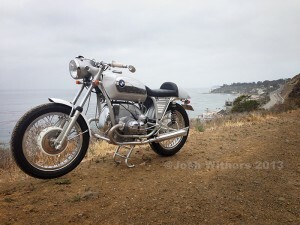 I was just having a conversation with a buddy 2 days ago about how BMW should ‘remake’ one of their old bikes. Triumph did it with the Bonneville. Ducati has the Paul Smart bikes (which i love). Well, here it is. 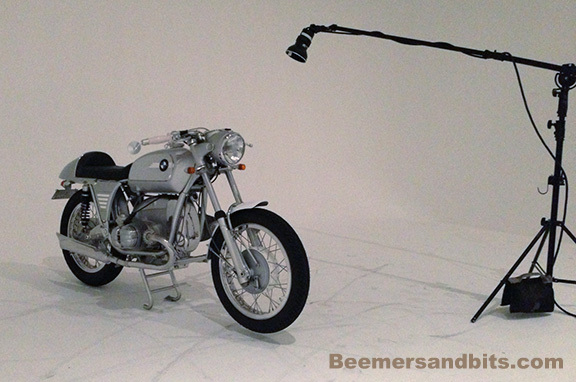 The homage BMW R90S. The original R90S is a true classic. While the new bike looks amazing… i fear that it looks too much like a new bike and not enough like a classic. Of course, i’d still love one in my garage…. I have a bunch of build and tech updates I need to write but the bike is done! I had some charging issues that i had to figure out (alternator). Carbs couldn’t idle low enough so I got a new-ish set of 32mm Bings from an ’84 GS and they work great. Suspension is tight which can be painful on these horrible Los Angeles roads. I am playing with spring rates and dampening after each ride. The biggest trouble right now is keeping it clean! I got about 80 miles on the clock. Glamor photos to come… But her modeling career has begun!